community improve their operational effectiveness. 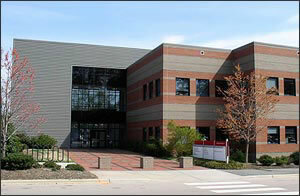 COVERLAB’s affiliation with NC State University offers access to nationally recognized researchers, state-of-the-art facilities, and collaborative learning opportunities through student involvement. This combination of resources helps us optimize service value as well as facilitate a hands-on learning environment. 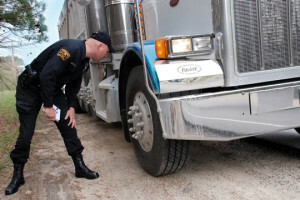 The operational mission of the Motor Carrier Enforcement (MCE) section of the North Carolina State Highway Patrol is to reduce commercial vehicle crashes and protect federally funded road and bridge infrastructure from damage from overweight vehicles. This is accomplished through performance-based grant programs that establish measurable goals, objectives, and activities, and are carried out by MCE uniformed troopers and fixed weigh station operators (WSOs). MCE conducts a large volume of enforcement activities relative to its size and geographic area of responsibility. With approximately 16% of the total NCSHP force involved in motor carrier enforcement, MCE troopers are geographically spread across eight troops throughout the state. 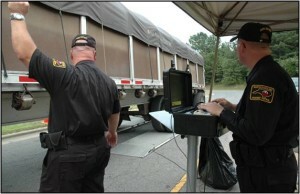 vehicles each year, weigh approximately 60,000 trucks on portable scales and roughly 4 million trucks at fixed scale facilities, and cite nearly 20,000 CMVs for serious commercial driver license (CDL) traffic violations. MCE troopers also conduct a number of special operations, including periodic port inspections at North Carolina’s two port facilities, quarterly CMV safety enforcement blitzes, and truck size and weight crackdowns. Periodic enhanced enforcement efforts also focus on targeting risky and aggressive driver behavior in the vicinity of large trucks. These special enforcement operations are blended with education and outreach efforts at local and state levels to reduce alcohol involved CMV crashes and to increase seat belt compliance among CMV drivers.